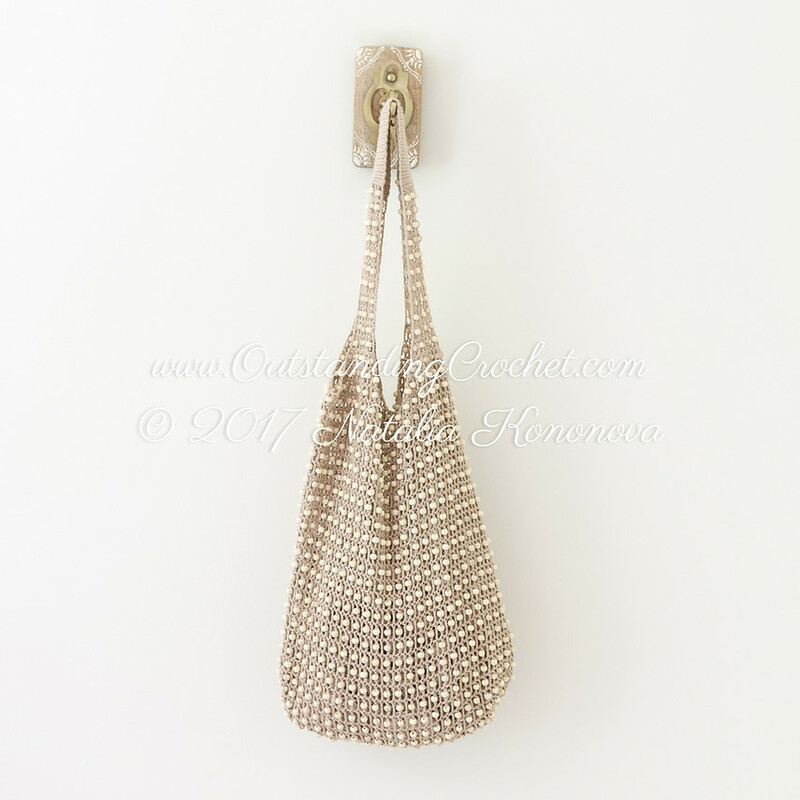 Outstanding Crochet: New crochet pattern is published - Beaded Shoulder Beach Bag Crochet Pattern. 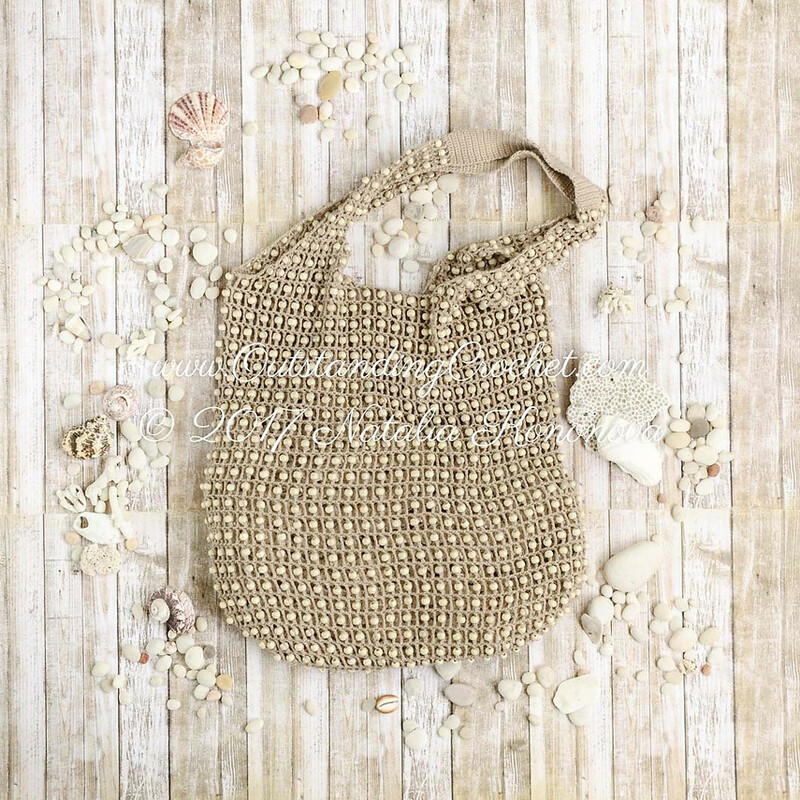 New crochet pattern is published - Beaded Shoulder Beach Bag Crochet Pattern. Wooden beads add a twist to this bag, but not a weight! This bag is such a pleasure to touch. Perfect for the beach, you will not bring any sand home. Roomy enough to hold all you things. Boho Chick style lovers must have. Easy and fast project and you will love working with wooden beads! Pattern includes step-by-step pictures, written instructions, schematic, crochet charts. 2 sizes available: roomier beach bag and smaller shoulder bag. Check this pattern (clickable link). Please, note, Etsy shoppers don't have to register anymore. You can check out as a guest.